Looking for high adventure? 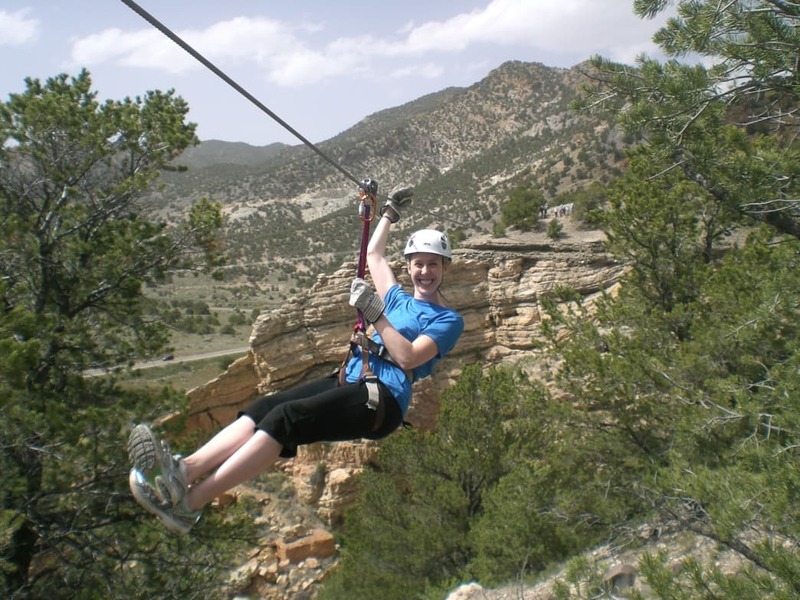 Check out one of the awesome Colorado zip lines, which are popping up all over the state. On a zip line, you strap into a harness and attach to a cable to whiz along a suspended wire. Some stand out for scenery, others for length, height, or speed. All guarantee adrenaline-fueled excitement. Here, we highlight five of our state’s most unique rides. 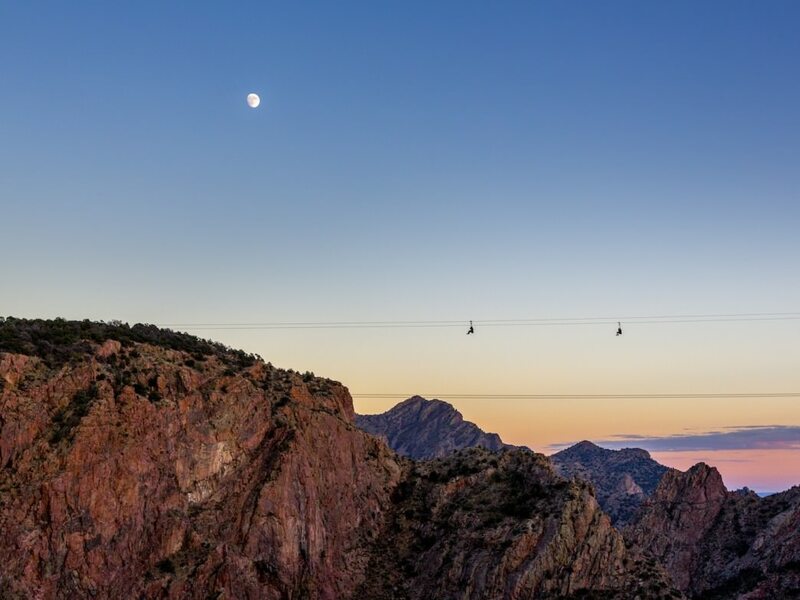 The Cloudscraper Zip Line is an optional add-on at Royal Gorge Bridge & Park, which features a famous suspension bridge that links towering granite walls 965 feet above the Arkansas River. The zip line spans 2,400 feet across the gorge at a height of 1,200 feet, making it the highest one in America. Take a zip, and if you want more, also try the Royal Rush Skycoaster, a giant swing that sweeps you through the air at 50 miles per hour. Thrill-seeking not your thing? 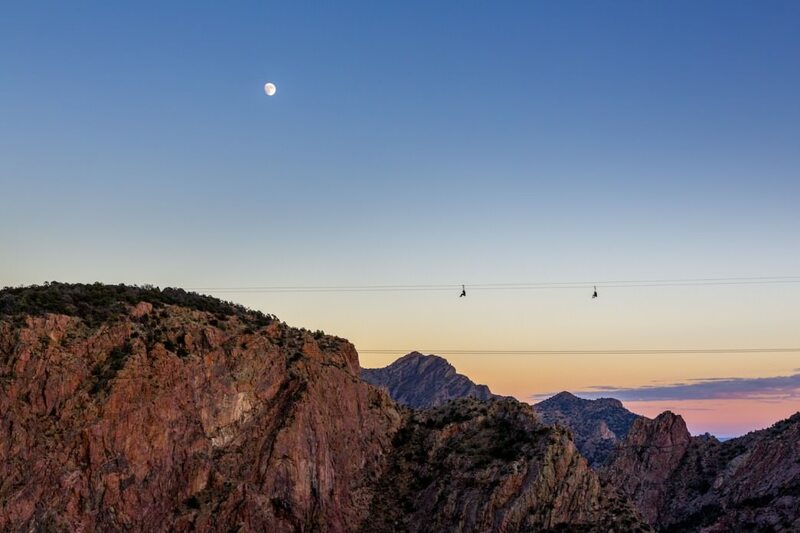 Get the same views from aerial gondolas that cross the gorge. A visit to Captain Zipline isn’t just about getting a rush; it’s also a peek into fascinating geology, mining lore, and natural history. Two guides accompany each tour, serving as chaperones and storytellers along the seven-zip, nearly half-mile course. Cables stretch over rocky canyons, with hiking trails between platforms and views of the Sangre de Cristo Mountains. Come for the zip and you might want to return for the huge aerial course, which has 120 elements such as catwalks, swinging bridges, cargo nets, wires, and swings, some of which are lit up for nighttime exploration. 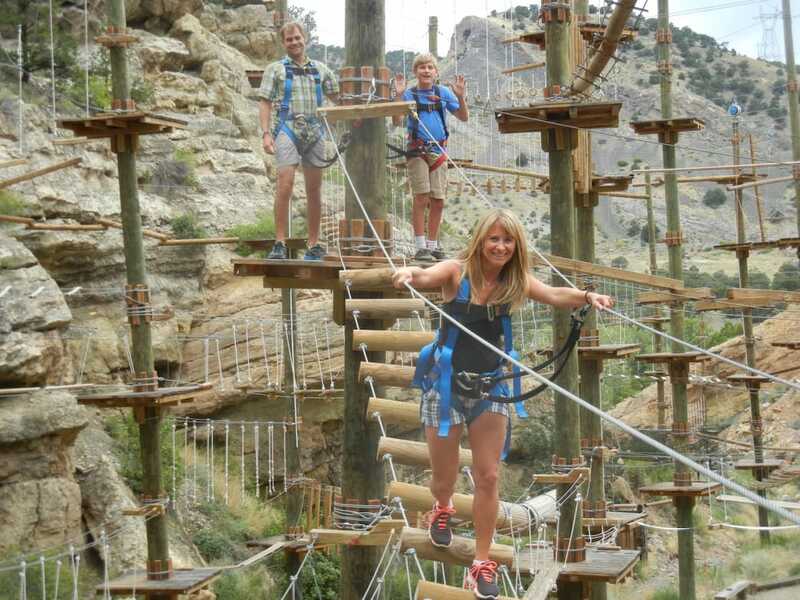 Captain Zipline also has a via ferrata, a series of metal ladders and handholds along cliffs and ledges, offering a rock-climbing experience with no prerequisite climbing skills. 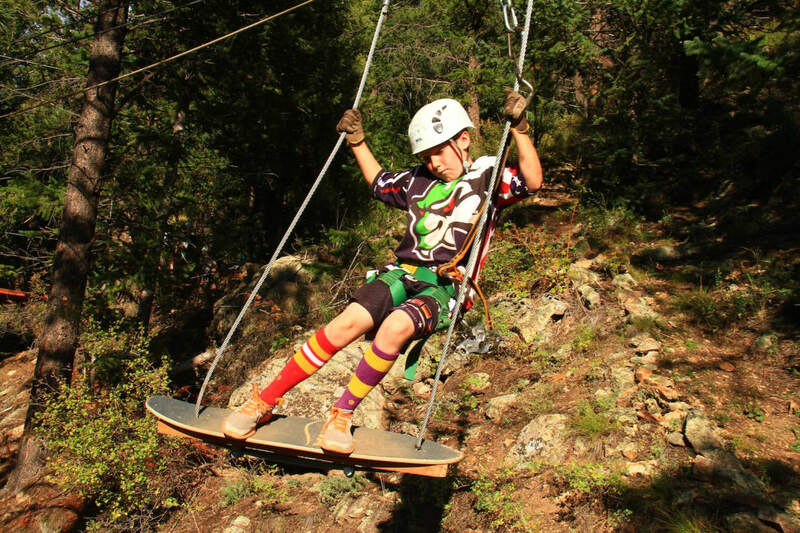 Just 30 minutes from Denver, AVA’s zip line follows the topography of a cliffside, hugging rock faces and whizzing through trees. The six-zip course takes about three hours and includes unique features like an optional 50-foot free fall, a surf zip where you fly through the air perched on a suspended skateboard, and a 600-foot parallel race zip. You can also opt for a twilight zip tour, complete with glow sticks and headlamps. The company also has a zip line in Buena Vista. New this year, Game Creek Aerial Adventure is a four-hour tour from the top of Vail following seven zip lines for almost two miles through Game Creek Bowl. Following a series of sky bridges linking platforms, you’ll zip down three lines, ride chair 7 up, and take four more zips to get back to the start. All told, you’ll zip 10,000 feet, at times 300 feet above the ground and reaching speeds of nearly 60 miles per hour. Other activities on the mountaintop at Epic Discovery could keep you busy for days. Choose from adventure courses, summer tubing, a climbing tower, bungee trampoline, and the Forest Flyer—a 3,400-foot alpine coaster that also debuted this year. 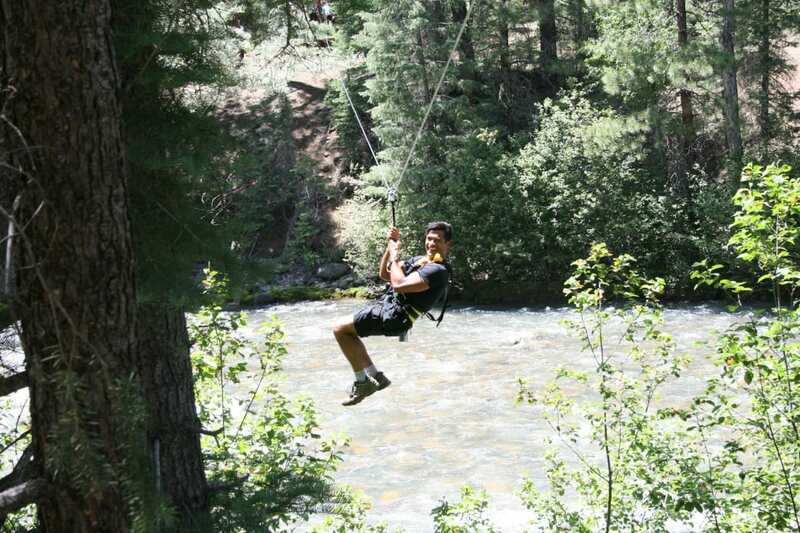 The full-day, five-star Soaring Tree Top Adventures zip line experience starts with a ride on the historic Durango & Silverton Narrow Gauge Railroad from Durango to reach a family-owned property surrounded by San Juan National Forest. The course includes 27 zips, ranging from 50 to 1,400 feet, totaling 1.5 miles of line. At one point, a German military helicopter hoist lifts guests 100 feet up to the highest spot of the day. The five-hour tour (plus train time) includes a four-course gourmet lunch served on a platform overlooking the Animas River.